1. Down payment = The total amount you have available to use towards the purchase of this property. 2. 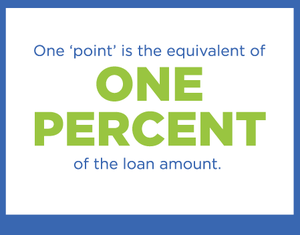 Loan one amount = The total amount that will be financed by your first mortgage. Normally, your first mortgage will carry a lower interest rate than a second mortgage. Loan two amountThe total amount that will be financed by your second mortgage. 3. Interest rate = The current annual interest rate you can receive on your mortgage. 4. Bi-weekly payments = Bi-weekly savings are achieved by simply paying your monthly mortgage payment every two weeks and making 1 1/2 times your monthly mortgage payment every sixth month. By the end of a year you would have paid the equivalent of one extra monthly payment. This additional amount accelerates your loan payoff by going directly against your loan’s principal. The effect can save you thousands of dollars in interest and take years off of your mortgage. 5. Mortgage amount = The total dollar amount for this mortgage. 6. Interest rate = The interest rate on this mortgage. 7. Loan term = The number of years over which you would repay this loan if you made your normal monthly payment. The most common terms for mortgages are 15 years and 30 years. 8. First payment date = The date your mortgage started. We will use this date to calculate the time and balance remaining on your loan. 9. Monthly escrow amount = The monthly escrow amount due. With the bi-weekly program 1/2 of this amount will be paid every two weeks. 10. Monthly Prepayment amount = (optional)Prepayment increases your savings even more. An additional payment is strictly optional. If you are also prepaying, please include your monthly prepayment amount. With the bi-weekly program 1/2 of this amount will be debited every two weeks. 12. Adjustable Rate Mortgage = (ARM)This calculator shows a fully amortizing ARM which is the most common type of ARM. The monthly payment is calculated to payoff the entire mortgage balance at the end of the term. The term is typically 30 years. After any fixed interest rate period has passed, the interest rate and payment adjusts at the frequency specified. A Fully Amortizing ARM will also have a maximum rate that it will not exceed. Below is a list of the most common types of Fully Amortizing ARMs. 13. Fixed Rate Mortgage = A fixed rate mortgage has the same interest rate and monthly payment throughout the term of the mortgage. The payment is calculated to payoff the mortgage balance at the end of the term. The most common terms are 15 years and 30 years. 14. Fully Amortizing ARM = This is the most common type of ARM. The monthly payment is calculated to payoff the entire mortgage balance at the end of the term. The term is typically 30 years. After any fixed interest rate period has passed, the interest rate and payment adjusts at the frequency specified. A Fully Amortizing ARM will also have a maximum rate that it will not exceed. Below is a list of the most common types of Fully Amortizing ARMs.